November 27, 2012 - Bombardier announced the largest business aircraft sale in its history. 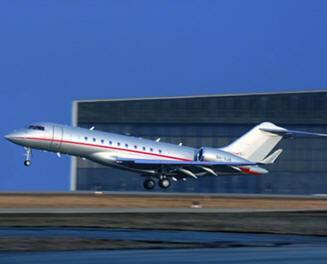 VistaJet, a low-cost airline based in Canada and a world leading luxury aviation company and exclusive operator of Bombardier business aircraft, has signed a deal for up to 142 Global business jets. This includes firm orders for 56 Global jets and options for a further 86 Global jets at a 2012 U.S. list price value of more than $7.8 billion if all options are exercised. The value of the firm order is approximately $3.1 billion at 2012 list prices. The firm order comprises 25 Global 5000, 25 Global 6000 and six Global 8000 jets. Deliveries of these aircraft will begin in 2014. The agreement also includes options for 40 Global 5000, 40 Global 6000 and six Global 8000 jets. "By any standard, this is a historic order for Bombardier. It goes without saying that we are thrilled VistaJet has again chosen to grow their fleet with the industry-leading Global family," said Steve Ridolfi, President, Bombardier Business Aircraft. "We welcome VistaJet's ongoing commitment to global coverage within existing and developing new markets. Our Global aircraft are perfect for VistaJet's business strategy to deliver the ultimate business jet family to all corners of the world," he added. For VistaJet, the order signifies a key part of its expansion plans and ambitions to make business aviation more accessible to the emerging markets. Thomas Flohr, Founder and Chairman, VistaJet explained: "This order is the most significant milestone for VistaJet and is a testimony to our successful strategy that focuses on global coverage. Our customers need to fly point-to-point across the globe, and in many instances at short notice. Whether it's a direct flight from Los Angeles to Shanghai, from London to Luanda or from Kinshasa to Ulan Bator, we are seamlessly connecting our customers to every corner of the world in unrivalled levels of style and safety. "Such customer success allows us to place this historic order and will enable us to base even more brand new aircraft in these dynamic growth markets. I am excited to serve these markets with an unparalleled product both locally and globally. "The Bombardier Global aircraft are ideally suited to meet the demanding needs of both jet owner and customer alike," added Flohr. The Global 5000 jet combines superior transcontinental speed with the largest cabin in its class. It offers ultimate comfort to those on board and with the Bombardier Vision Flight Deck combines design and technology from nose to tail. On board, passengers can be whisked across the world with high-speed Internet and unmatched entertainment and productivity options. This jet can fly 5,200 nm and connect London with San Francisco or London with Seoul.